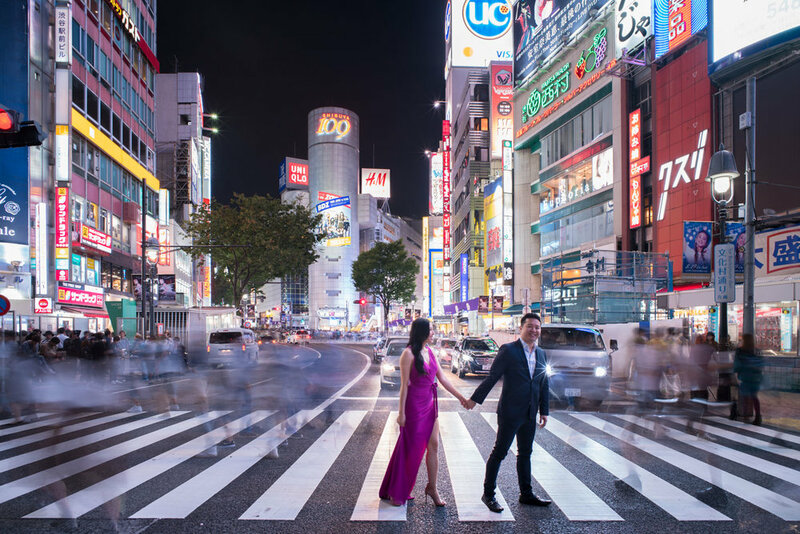 Suggested Tokyo Photography Spot: Shibuya — Tokyo Vacation Photographer - Kan P.
Home to possibly the most famous pedestrian crossing in the world, Shibuya is one of Tokyo’s most colorful and busy districts, packed with shopping, dining and nightclubs, offering plenty of neon lights lined streets. A lot of visitors want to take the mandatory photo in the middle of the crossings, but be warned though it isn’t as easy as it seems; the time the lights turn from red to green are getting shorter and shorter, and there are plenty of crowd, meaning that it requires many retakes (and time) to get that perfect shot. So photo of the crossings and neon lights alone would easily take one whole hour. For sessions longer than 1 hour, this is usually combined with Yoyogi Park or Harajuku.